WHAT WILL IT MEAN FOR RIDERS? 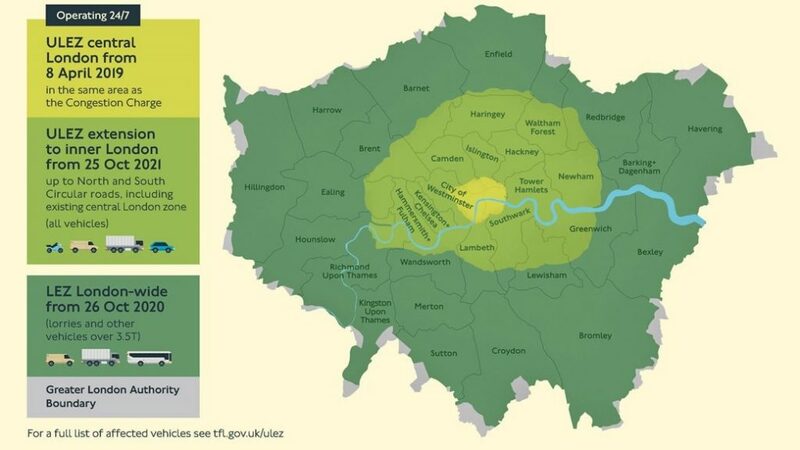 The new Ultra Low Emission Zone (ULEZ) came into force in central London on 8 April. The first part of London’s ULEZ covers the existing Congestion Charging Zone (CCZ) and will be in operation 24 hours a day, seven days a week. It replaces the T-Charge and operates in addition to the CCZ – meaning those travelling in affected areas during the Congestion Charge’s operating time (7am to 6pm, Monday to Friday) will have to pay both tolls. The new ULEZ charges are calculated on the emissions a vehicle produces rather than the car’s age. Vehicles affected will have to pay an extra £12.50 – with charges calculated on the emissions a vehicle produces, rather than its age. Anybody who does not pay the charge will face a fine of £160 (reduced to £80 if paid within 14 days). Meanwhile, buses, coaches and lorries will need to meet or exceed the Euro 6 standards or pay £100 a day to operate within the ULEZ. Under current plans, the ULEZ will be expanded to cover the entire area between the North and South Circular roads in 2021.